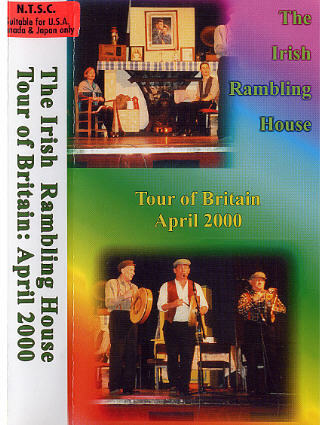 Looking for a DVD that will take you back to the Ireland of long ago? You have found it here at the Irish Rambling House. Unless otherwise stated, all our DVDs are available in a format to suit your country’s DVD players. Click below for an order form which you can print off and post to us with the appropriate remuneration. Alternatively you can e-mail us your order and forward the cost by post. 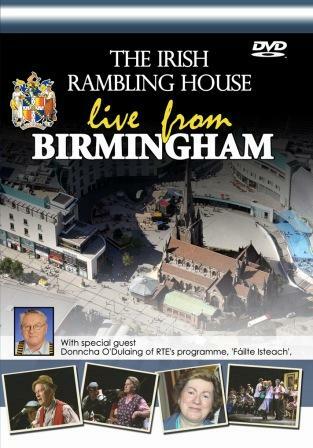 All cheques and money orders should be made out to the Rambling House. We regret that we do not provide Credit Card facilities. Recorded in St Joseph's Parish Hall, Luton. 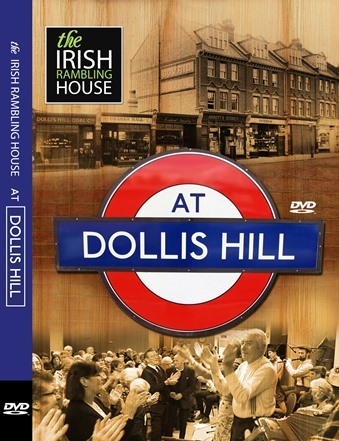 This DVD was recorded in the London Irish Centre Camden. It features the usual mix of great traditional music, songs and stories. The entertainers get better with age and some of our new talent adds greatly to an already successful mix. The entertainers include Chrissie Roche, Doris Shire, Billy Donegan, Robert Kelly, Sarah & Maurice O'Keeffe, Darren Roche, Ken Brown, Margaret Madigan, Murt Collins, Seamus Harnett, Paddy Commane, Christine Mulcahy, Dan O'Callaghan, Fionnuala Trench, Darragh O'Donnell and Conor Walsh. 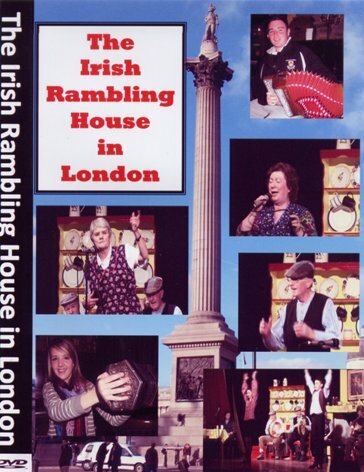 This DVD is a Compilation of humorous stories from the early years of the Irish Rambling House Shows. 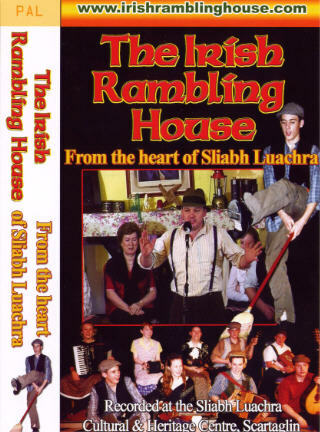 If you are new to Irish Rambling House DVDs or if you are just into storytelling then our latest DVD is the one for you. This DVD was recorded at The Community Centre in Foilmore. It has a great mix of songs, stories, music and dance and the humour as usual is only mighty. The entertainers include, Chrissie Roche, Doris Shire, Billy Donegan, Sonny Egan, Robert Kelly, Sarah & Maurice O'Keeffe, Darren Roche, Lorraine Nash, Ken Brown, Margaret Madigan, Pat Curtin, Tom O'Donoghue and some new performers Murt Collins, Mike Moynihan, Margaret Conway, Tom Trench, Donagh McElligott, Dan O'Callaghan & Thomas Costello. On the Bus Eireann Coach to England, on the Ferry and at the shows in Ireland and across the Irish Sea the Irish Rambling House entertainers are always "on duty". More great music, songs, dance and storytelling where ever you find the Ramblers. Among them are Vincent Pierse, Mike Moynihan, Chrissie Roche, Paddy Regan and Paddy Hynes. 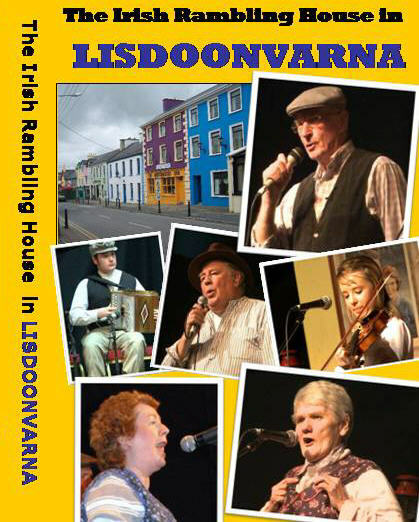 This DVD was recorded at the Pavilion Town Hall in Lisdoonvarna, Co Clare. It was a mighty night in the Banner County. 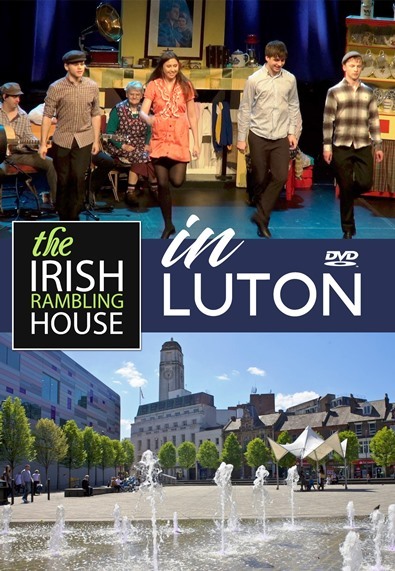 The DVD contains Doris Shire's version of 'Uncle Mike', stories and songs from Clare duo, Paddy Hynes and Andy Guthrie and a host of other entertainers. It also contains clips from the 2010 Tour of Britain. 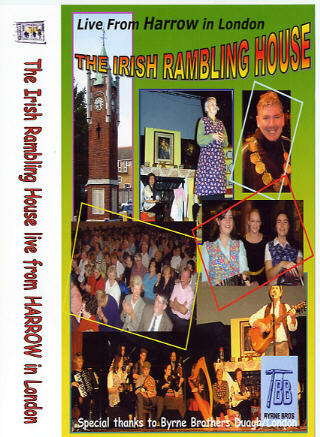 This DVD was recorded at Haringey and Harrow in 2009. 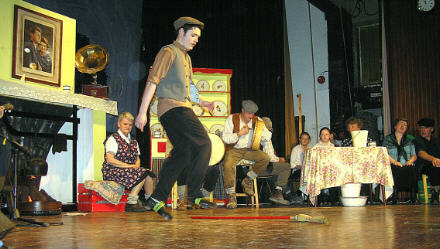 It is packed with great Irish Traditional music, song, dance and storytelling. The humour is mighty. Entertainers include, Chrissie Roche, Paddy Hynes, Doris Shire, Billy Donegan, Andy Guthrie, John Kinsella, Darren Roche, Ken Brown, Christine Mulcahy, Pat Curtin, Sarah & Maurice O'Keeffe, DJ Curtin & John Ryan. 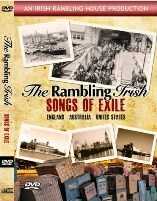 This two hour DVD features songs and scenes relating to the millions of Irish who have immigrated to all parts of the world. It contains scenes from England, Australia, America & Ireland. Songs are sung by Billy Donegan, Billy O'Brien, Doris Shire, John Kinsella, Donncha O'Dulaing/Billy Donegan, Noel Heaslip, Peter Burke, Séan O'Se, Andy Guthrie, Eureka Smith, Eileen Fitzgerald, and Edaéin O'Connell. 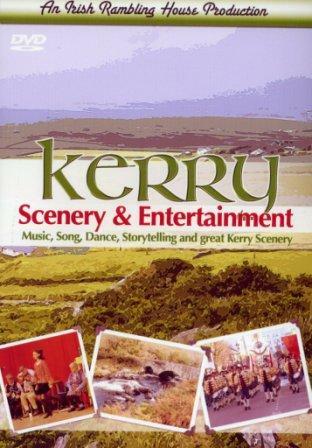 This one and a half hour DVD features thirty minutes of beautiful scenery from many parts of Kerry including St Patrick's Day Parade in Killarney and a visit from Listowel Writers Week group to Lyreacrompane on the 50th anniversary of John B Keane's play 'Sive'. 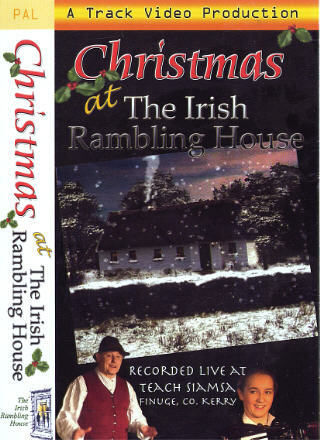 It also contains over an hour of brilliant entertainment from the Irish Rambling House. Performers include Seán O'Se, Chrissie Roche, Doris Shire, Mike Shinnors, Andy Guthrie, Sarah & Maurice O'Keeffe, Margaret Madigan, DJ Curtin, John Kinsella, Darren Roche, John Ryan & Ken Brown. 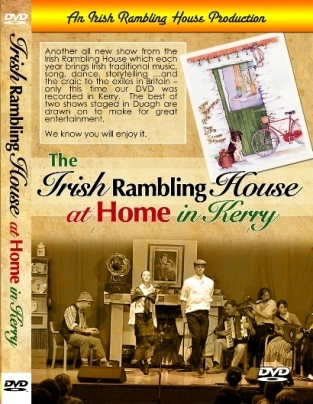 Our latest DVD was recorded in Kerry. It contains the best of two shows staged in Duagh, Co Kerry with all your old favourites and some new entertainers. All the material is new and the performers include Daisy Kearney, Billy O'Brien, Sonny Egan, Chrissie Roche, Billy Donegan, Doris Shire, Paddy McElligott, John Kinsella, John Ryan, Robert Kelly, Noel Heaslip and Fr Pat Moore. 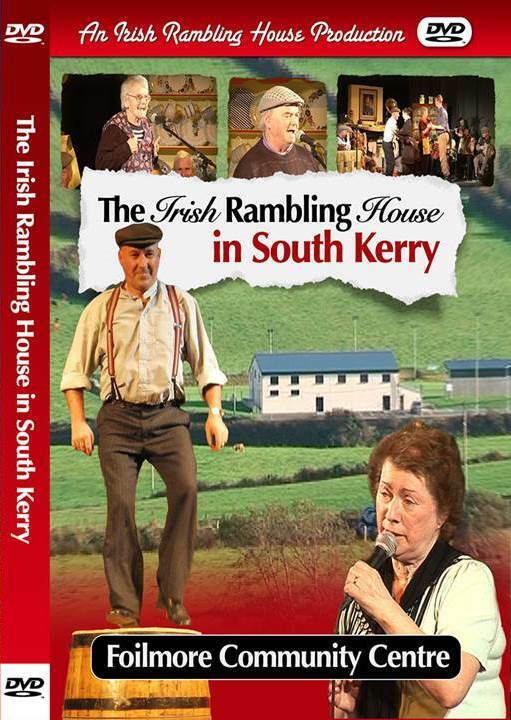 This DVD and it has over two hours of the very best of Irish traditional entertainment. It was recorded at a sold out concert at the South Birmingham College Theatre. 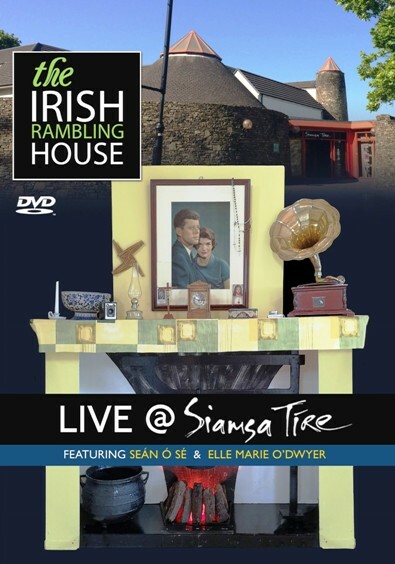 This DVD, like all Irish Rambling House DVDs, is all new material and as always there is some might humour right through the whole show. This DVD was recorded at the Salvatorian College Hall in Harrow, London in front of an audience of 400. It is packed with music, dance, song, lilting, stories …and the craic. The side-splitting yarns include Annie, Nanny and Fanny, What’s what and Nell the Diamond. One of our most popular DVDs. Set in a thatched house (Teach Siamsa) in Finuge Co Kerry it recreates a Christmas of long ago. All the material is Christmas related such as The Boys from Barr Na Sráide, Christmas 1914, St Peter’s Ceili Band, and Moriarty (Going Home for Christmas). This DVD also contains some top class set and step dancing. The songs include Brosna Town, Come Back Paddy Reilly, The Fair of Cappamore, Black Biddy, When Irish Eyes are Smiling, Smuggling the Tin, The Land of the Gael and The Old Threshing Mill. 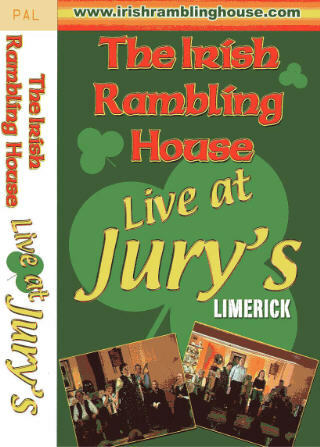 This DVD was recorded at Jury’s hotel in Limerick City and features the two hour show staged there over summer seasons for visitors to the region. Again, more humorous stories, great dancing and brilliant music are the order of the day. The stories include Humphrey & Hanorah, Katie the Bucket, Story of the Bodhran, St Peter at the Golden Gates, Snow White (the alternative version) and We’ll See it all Yet. There are also some great songs such as The Stone outside Dan Murphy's Door, In My Fathers House, Ellis Island, The Galtee Mountain Boy and I'll Take You Home Again Kathleen. 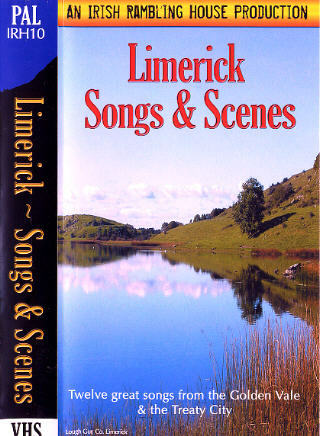 Twelve great songs from the Golden Vale and the Treaty City set in the lovely scenery of Limerick. 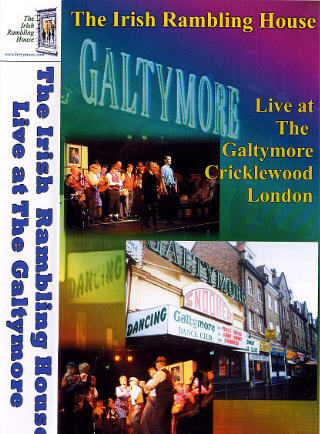 This two and a half hour DVD was recorded at the famous Galtymore in Cricklewood, London - a venue very much associated with Irish emigrants. 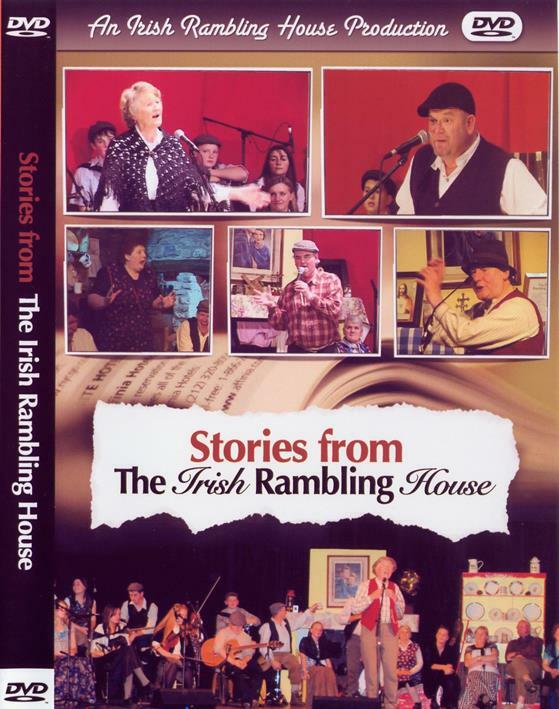 The thirty mighty entertainers of the Irish Rambling house brought back many fond memories that night with music, set dancing, songs and stories. The songs include The Road to Abbeyfeale, The Village Where I went to School, The Land of the Gael, In My Fathers House, Kerry Candlelight, Homeward Bound and Sliabh na mBán. There is great humour in the many stories and recitations which include Minding the House, Come on my Ould Cod Liver Oil, The Barrel Muldoon, Mick Nelligan's Ashes and The Knocknagoshel Man. 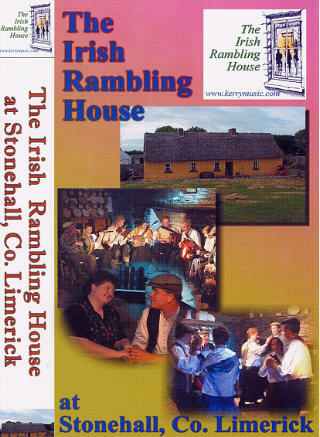 Another of our specially recorded DVDs designed to take you back to the rambling houses of long ago. This one is set in a 150 year old thatched house in Stonehall, Co Limerick with some mighty musicians and dancers. 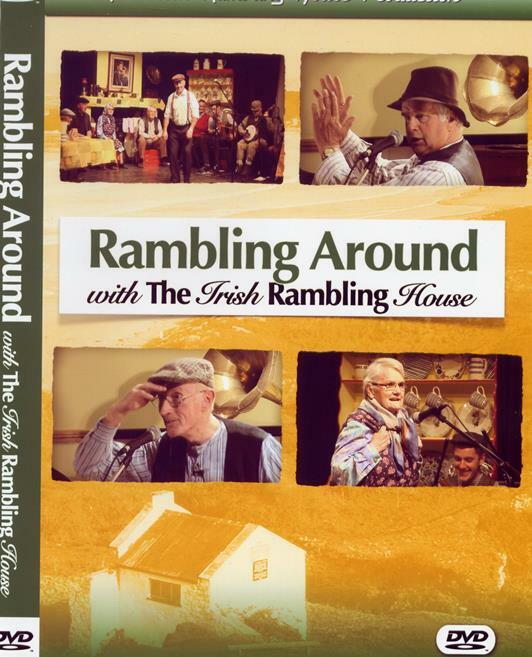 The set dancers are fabulous and the DVD also contains The Little Old Mud Cabin on the Hill, Ross Roe (Clare oh Clare), The Freemount Set (a humorous recitation), After All These Years, The Mulcaire River Catherine Mó Croí, Gold & Silver Days, Darling Kate and Pakie Gets the Cure. Come with us on our first tour of Britain. Along with some great music and dancing this video includes songs such as The Isle of Innisfree, The Home I Left Behind, Hard Times, An Irish Harvest Day which was written and composed by Michael Maloney, who was born in Sligo and now lives in Dublin, Sean McCarthy’s A Kerry Hill, The Chapel Gates At Cooraclare, Teddy O'Neill, Homeward Bound, The Laughing Policeman, Never Too Far From My Mind and We All Went Rambling. 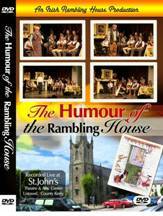 Some of the hilarious stories and recitations include The Art of Bottling, Ould Bachelors, The First Time I Ever Took Drink, Long Mickey, The Railway Line to Ardagh, and Jack Goes to Hospital. This beautiful nineteen track CD of the Songs and music of Ireland presents young multi-talented Irish women who have an impressive list of achievements at national level. 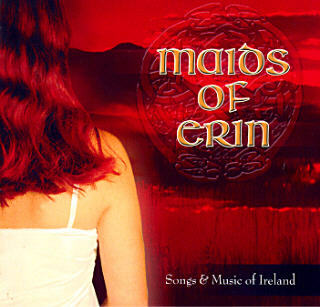 It was through their involvement with the Irish Rambling House that the seeds were sown for the Maids of Erin CD. 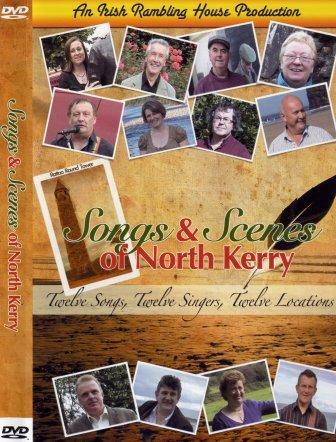 The tracks include some great traditional tunes and songs such as Smuggling the Tin, Teddy O'Neill, Sadbh Ni Bhruinneallaigh, Skibbereen, Brigid Donoghue, Black Biddy and Ellis Island.